I read a lot of classics and inspirational historical romance, so when I started writing, I thought omniscient POV was the way to go. It was the only truly elegant writing style. Third person would do for modern books, and first person was decidedly lacking in elegance with all those I's (apparently, I'd forgotten that my beloved Jane Eyre and The Prisoner of Zenda were both written in first person). When I started writing, there was no question that my short stories would be written in an omniscient POV. But, to my shock, when I sat down to write my first full-length novel (The Beast's Enchantress), it came out in first person! 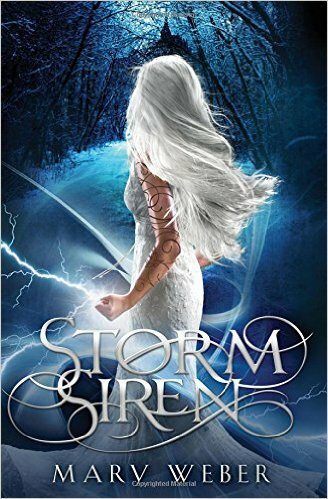 Some characters choose their own point of view, it seems, and Alexandria, strong heroine that she is, wanted first person. I quickly realized first person is not so choppy and inelegant as I had labeled it in my prejudice. The high school English class injunction against using "I," "me," and "we" isn't fair or just. So far, I've written three novels in a POV I'd declared I didn't like and wouldn't write in! When I try to write a novel in third person now, I find myself slipping into first person. It's a good thing I changed my mind about liking it! Do you have a preference for point of view? Why? What about tense? 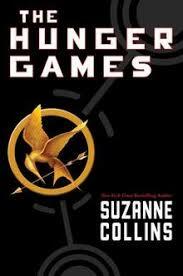 Do you like first person present, as for Storm Siren and The Hunger Games? I still find it choppy and prefer past tense, but will put up with it for a great story. 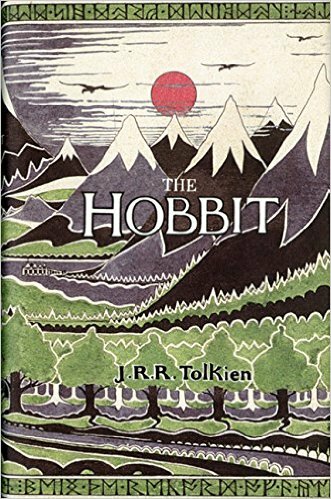 Do you prefer a narrator as for The Hobbit? Or do you even care so long as it's a great story? Labels: first person POV, Lizzie, point of view, Your Turn! This is a really interesting topic. My first attempts at writing stories (one was basically a retelling of The Jungle Book with Mowgli as a sheepdog puppy instead of a human and the setting changed from jungle to tundra, another was a directionless story about eagles and other birds that was basically Redwall with some hints of Lord of the Rings) were in omniscient, mostly because the books I loved at that point in my life- Alice in Wonderland, The Jungle Book, The Hobbit, and more- were written in omniscient. Plus, I didn't really understand point of view and character voice. My first real novel, which I am editing now, is written in the dreaded first person present tense for a very pragmatic reason: the story ends on the main character's death bed, and I didn't want her to seem to be narrating from beyond the grave. My second novel, which I'm drafting right now, is written in deep third person from three different characters' perspectives (so far.) Again, the choice was for practical reasons- there's a major subplot that does not directly involve the main character, so I needed a way to switch point of view smoothly and easily. At this point in my writing career, I'm still experimenting and I haven't picked a favorite point of view. I don't think I would go back to writing in omniscient, though, just because first and deep third lend themselves to character development so much more. I also have no preference when reading- many of the classic books I love are written in omniscient, many of my favorite fantasy and historical books are written in deep third, and there are many great books in all categories written in first person. Brenna, thanks for your comment (and it was well worth the length). I'm glad I'm not the only one who started out in the omniscient and then changed. Your retelling of The Jungle Book sounds fun. Yes, sometimes we must choose POV for very practical reasons. I don't have a favorite; they all have their benefits and drawbacks. I do love narrator comments though in stories like Anne Elisabeth Stengl's Tales of the Goldstone Wood, and the sarcasm in Jane Austen's voice. Since you enjoy POV, you might enjoy reading (if you haven't already) Orson Scott Card's book Characters and Viewpoint. Good luck on your stories. I had to laugh while reading this, because our experiences are so similar! My first manuscript was also in omniscient POV because I thought it made me sound like the classics. But when I got the story idea for Common and started thinking through scenes, they all came out in first person, so I reluctantly started writing it that way. Now it's my favorite, because I feel so much more connected with the main character and I think it really helps the reader experience the story from that perspective. I have mixed feelings on first person present - it can work for modern, futuristic books (I think Mary Weber did it well with Storm Siren, as did Sara Ella in Unblemished), but I don't think it works to achieve a more historical feel. That's too funny! I'm glad I'm not the only one who tried for a classic feel and ended up in first person. I was happy to find Common in the crit group since it was another first person story, and was just a great story. :) I have mixed feelings about first person present too, but I am reading a historical fiction (All the Light We Cannot See by Anthony Doerr) now that someone recommended as very well written, and it is in third person present. It doesn't feel any different than third person past. Such a fun question to think about. I can get into first, third, or omniscient if it feels right for the book. My favorite tends to be omniscient, and I started writing that way but not very well. Now, it's third person for me mostly. I'm not even sure why. :) It was just the one that came naturally. It seems there's always more and more to learn about POV! It is interesting how we have to develop a preference--and that our preference as writers might not be our preference as readers.